Evergreen took its first lead of the game midway through the second half, and the Geoducks held off Southern Oregon late to knock off the Raiders 58-53 in Cascade Collegiate Conference women’s basketball action Saturday night at Bob Riehm Arena. The loss drops Southern Oregon’s record to 14-13 overall and 5-11 in conference play, while Evergreen improves to 6-20 overall and 4-13 in the CCC. 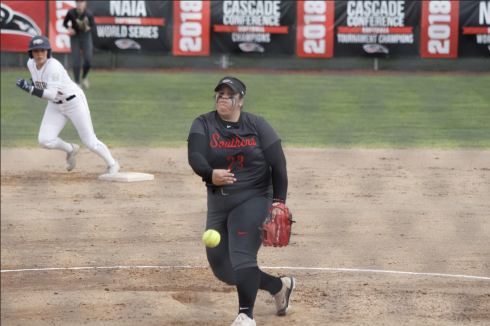 Southern Oregon concludes its home schedule with a 7-7 home record and will face Corban and Northwest Christian on the road next week to close out the regular season. 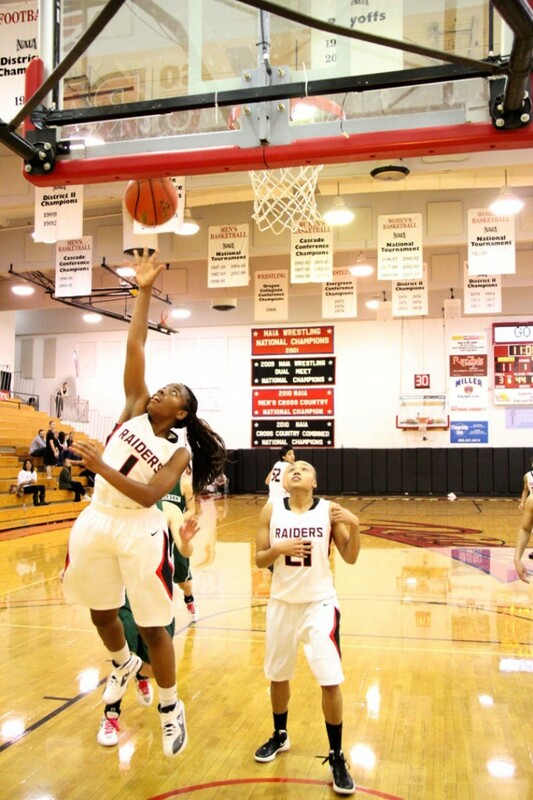 RaTanya Newsome led the Raiders with 17 points and added five rebounds, four assists and four steals. Krysten Copeland finished with 12 points and five rebounds in the loss. Danielle Swain finished with a game-high 21 points and added eight rebounds. Maddie Graves tallied 12 points and Jessica Edge finished with 10 for the Geoducks. 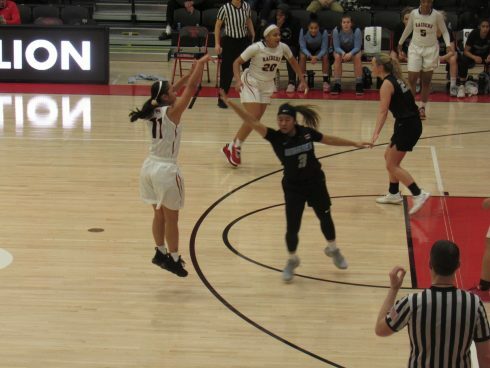 Southern Oregon led 13-5 early in the first half, but Evergreen scored the next eight points to tie it as SOU went six minutes without making a basket. Molly Doran hit a jumper to put the Raiders back on top, but Swain made a layup at the other end to tie the score once again. Newsome made a pair of free throws with three minutes to play, and the Raiders closed the half on a 7-2 run to take a 22-17 halftime lead. Evergreen hung within six points of the Raiders early in the second half, and the Geoducks tied it up at 33-33 on Sami Clark’s jumper with 11:50 to play. After Angelica Cahee hit a jumper to put the Raiders back on top, Maddie Graves and Swain made back-to-back shots to give the visitors their first lead of the game at 37-35. The Geoducks built their largest lead to that point when Graves made it 45-41 Evergreen with six minutes remaining. A couple minutes later Mele Rich made a pair of free throws to put the Geoducks up 54-48, and Graves followed with a layup to make it an eight-point game with only 75 seconds to play. Doran hit a three-pointer with exactly one minute to play to pull SOU within five, but Swain made a pair of free throws and the Raiders were unable to grab rebounds on the front end of a couple one-and-one misses. Evergreen shot only 20.6 percent (7-of-34) in the first half, but the Geoducks made 63 percent (17-of-27) of their shots in the second half to earn the win. Southern Oregon shot 27.6 percent (16-of-58) in the loss. *For more photos please visit the Siskiyou Gallery.